These powerful sounds awaken the oceanic forces of the Cosmos to fulfil your hearts desire! Its true! What your heart desires you can have! For centuries mystics have known that mantras  the very sounds of the living Cosmos  can be hummed or spoken to turn wishes into realities! The wise men of the East teach that every material thing is governed by an invisible power  a power that can be evoked by Miracle Mantras! And it is incredibly simple  the mantra is a two to five letter word that anyone can speak! And you are shown exactly how to pronounce them. You are also shown the powerful mystic techniques that gets these mantras to work every time! No candles, no incenses or oils are required! 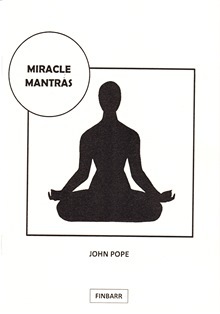 All you need is Jason Pikes publication MIRACLE MANTRAS to get these cosmic forces working for you! At last, you can lead a perfectly charmed life  you can be the envy of those around you who will be amazed at your sudden new found luck! Dont wait another day to see your fondest dreams come true! Send for Miracle Mantras now!